Why Do Chihuahuas Shiver? 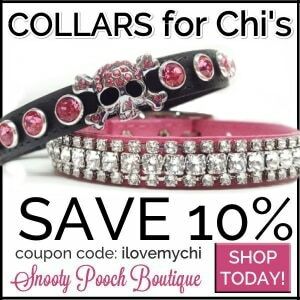 | I Love My Chi I Why Do Chihuahuas Shiver? 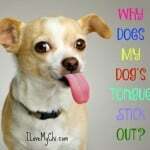 % Why Do Chihuahuas Shiver? 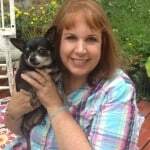 You are here: Home / Chi Health / Why Do Chihuahuas Shiver? It seems to be such a cliche, doesn’t it? The tiny shivering shaking Chihuahua. But it often true. Many Chihuahuas do seem to shake a lot. And there is no one reason for the shaking. Below, I will give you the most common reasons Chihuahuas shiver. Shivering is a mechanism of thermal regulation. Chihuahuas need to be in a warm place since they do not have much hair or body fat to protect them from the cold weather. Their breed has been adapted over the years to a hot climate and that is what they are more comfortable with. Do give them snuggly blankets to cuddle under and have them wear a sweater when it’s cold outside. 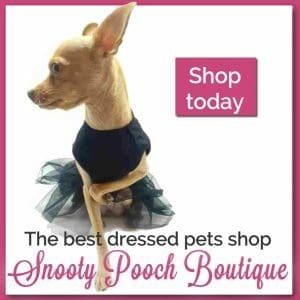 Chihuahuas, like other small dogs, are very prone to stress and anxiety, therefore, that is the most common cause of shivering in this breed. Your little friend may be shivering because he or she is excited to see you or other members of the family. It is also possible that he or she is anxious or stressed out. For example, your dog may be stressed because another dog is around. A little stress is not harmful to anyone; however, you should identify any cause of continuous stress and, if possible, eliminate it from the environment. Hypoglycemia is low blood sugar and about 10% of all Chis suffer from this. 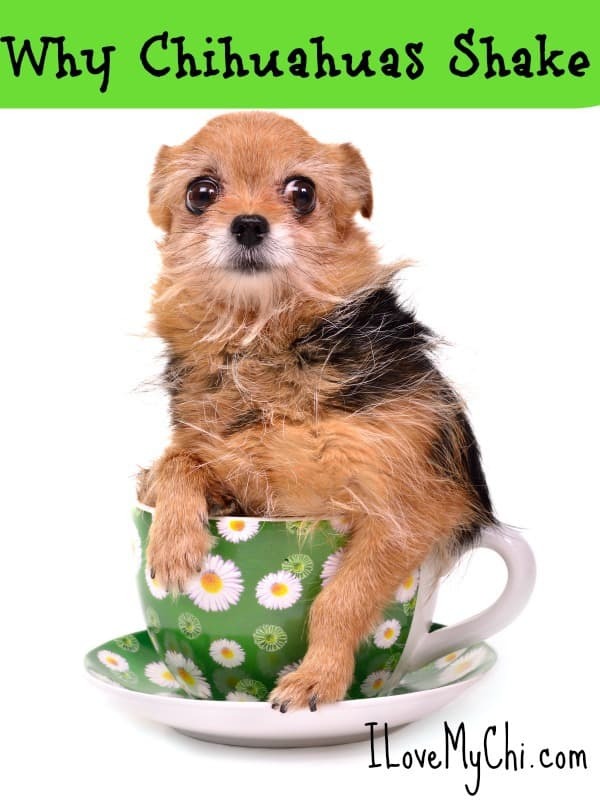 If your dog has it, break up their meals into small multiple meals through out the day. The amount of food should stay the same, just feed them more often. You can also squirt a little sugar water into their mouth if they seem to be having an attack and you know they suffer from hypoglycemia. This is a viral disease that affects dogs that are not current with their vaccinations. 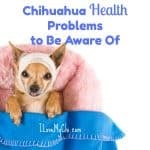 Chihuahuas infected with the distemper virus will show a variety systemic illness signs, such as, eye and nose discharge, fever, coughing, diarrhea and vomiting. In addition, distemper virus can cause neurological signs like tremors and uncoordinated movements. Treating distemper generally involves supportive care while your dog’s immune system fights the virus. Treatment may also include antibiotics, airway dilators, physical therapy, and fluids to help manage dehydration. 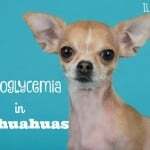 Take your Chihuahua to the vet immediately if you observe any of these signs. This syndrome is also known as steroid responsive tremor syndrome or white shaker dog syndrome. It was first noticed in small, white dogs such as the Maltese and West Highland white terriers, but it can occur in dogs of any size, breed, or color. The causes of this syndrome are unknown. The signs of GTS start between nine months and two years of age. Treatment generally consists of corticosteroids. Several toxins or poisons can cause tremors or shaking in dogs. Common substances that are poisonous for dogs include chocolate, cigarettes, antifreeze, insecticides and Xylitol (the sugar substitute found in many chewing gums). Signs of poisoning can vary but may include tremors, weakness, disorientation, depression, drooling, vomiting, diarrhea, and seizures. 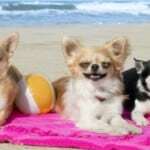 If you think that your Chihuahua is intoxicated you can call the ASPCA poison control center at (888) 426-4435 and they can help you determine if the substance is toxic to your pet. The ASPCA poison control center is available 24/7 so this is a good option if it is late in the night and you cannot find a veterinarian who is available. There are other less common reasons for shivering or trembling in dogs. 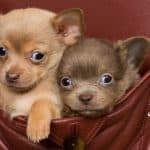 If you have questions about your Chihuahuas’ shivering or trembling or about any health and wellness issue, you should contact your veterinarian. So, does your Chihuahua shiver? Kilo does but only when she is cold or scared. Why Does My Dog’s Tongue Stick Out? That’s so unusual for a Chi. They tend to have a need to bond to a person. Do you want me to ask on the facebook page to see if anyone has any ideas for you? Many years ago we adopted a sweet little girl Chihuahua named, Sidney. She was very skittish and bonded mostly with my wife but that was pretty much in name only. With me, she would run from me and, early on, I decided to stop trying to pick her up and I began slowly to bond with her. That began when I came to bed late at night and I would scoop her up and hold open the entrance of her snuggle sanck. It took a couple of years for her to begin expecting for me to do this. It took her 6-years to allow me to pick her up but only in certain situations. But I allowed her to adjust and bond at her own pace. At eight and nine years she slowly began to widen the situations where she would allow me to pick her up … and at the beginning of this year she began allowing me to pick her up off the floor and even to reach down to pet her ! She now enters into activities with all five of us … my wife, me, and two other Chihuahuas on the bed. One of the strange things is her acceptance of a new Chihuahua puppy who tries to bully her and another larger Chihuahua. I felt as though I had to watch and listen for her distress sounds when the puppy was bullying her … now that is more like the puppy is trying to induce Sidney into rough play … but … NOW … Sidney stands her ground and backs down the puppy (already larger than Sidney). Now if the play becomes too rough, Sidney comes to me on the bed and I block the over-active puppy from pouncing when she doesn’t feel like playing. Another thing I recently noticed is little elderly Sidney has begun “pouncing” on her own ! In the morning when Sidney wakes up she comes to me and assumes that “down-on-her-front-feet pose that dogs do when they want to play ! And now that it has taken many years for the now elderly girl-dog initiates play and seems to want me physical contact with me ! I wish I knew horror stories she endured before she came here to live ? I am home-bound so I pretty much go between my bed and my recliner in the living room … and I and many times up all night. The big difference now is when Sidney wakes up during the night and I am not next to her on the bed … she will walk out here and into the living room to check on me. She looks in on me and studies me for a while then I will acknowledge her presence … then she will return to the bedroom and climb one of the two soft doggie stairs to get to her “Spot”. 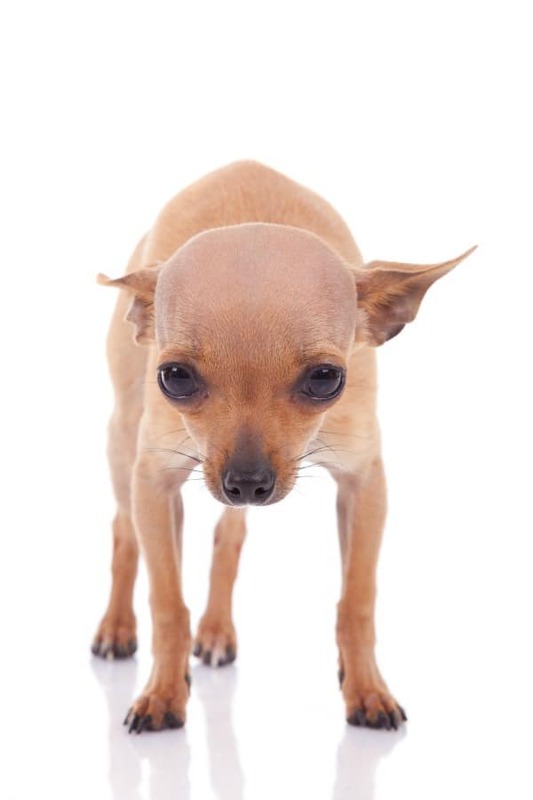 So, it CAN take many years to allow a Chihuahua to adjust to you if they are, at first, skittish of you. I’m so glad you were patient with her Eugene. It’s so worth it to earn their love and trust. Our little chihuahua bonded to my husband right away! When we first had her at only eight weeks old she would snuggle on my chest every night when we were watching T.V. She loves us both but she still favors my husband! Sometimes if I try to pick her up she might growl or even snap at me! Lately I have been using treats to call her to me and take her out more to walk a little! The more time I spend with her the closer she becomes to me! I am also the one who feeds her! I draw her to food with treats too! LOL. The way to a chi’s heart is through their stomach. Pick her up often and love on her. When she’s near you in bed pull her up close to you and hold her til she falls asleep or you do. Do this often she will get the message that that’s what you want and it may take her awhile to learn that it’s what you want, just don’t give up. Chris are natural love bugs so she should figure it out. But somewhere down the line something has happened to make her think different. I hope you the best of luck, for her too. Keep loving her….chis need someone or something to love….don’t give up on her….just change your thinking of her….hold her close….as much as possible….speak to her softly….give her treats when she does something good….I adopted a puppy mill dog….now beans was scared and anxious about everything….so to get him to bond with me….I took him to work, grocery store, bank, we did everything together…. it took awhile….but beans and I are best buddies now….and I love him as much as he loves me…. My chihuahua is very sensitive to adverse weather conditions, including wind, rain, and obviously thunderstorms. In the winter, we have snow and ice that accumulates on the roof and when it starts to melt, it crashes down and scares her. She shakes, pants, and hides under the furniture. Even after the storm has passed, it takes her awhile to calm down. I have seen various products that are supposed to help but have never tried them. Are you talking about supplements Christie? I’m curious about them too. I know the thunder shirt works well for some dogs but not all of them. We adopted our approximately 7 year old female chi a year ago. We also have an 11year old larger chi female. Jancy follows me every where. She sleeps with me but she won’t cuddle. She comes over for 15 second and leaves. I massage her very lightly and she scrambles away. We have not bonded at all…either have the girls with each other..help! It sounds like you are doing the right things Vera. She may eventually come around. Some dogs are more aloof like cats. If she follows you around, she is already seeing you as a pack leader. I have a 7 year old chi. Lately he began suffering from arthritis. He is on medication. He is in pain, sometimes but only when I try to hold him, he bites me. My husband can touch him everywhere, he let him do everything but he doesn’t like me. He seems that he is thinking that its ny fault that he is having pain. We have him since he was a puppy. He very well may think that Roberta. 7 is pretty young for a chi to be dealing with arthritis, poor baby. Is he on any supplements for it?